So I totally missed National Elephant Appreciation Day on September 22nd. Who knew there was such there was thing? I actually started a new job and things got kind of busy, but Good Earth Tea launched their new Hathikuli Organic tea for this holiday. I know what you are thinking! What makes this an elephant related tea? This proprietary blend is sourced from one of the world’s most diverse ecosystems where elephants roam freely amidst land, people, and tea. The backstory is second only to experiencing this special beverage. 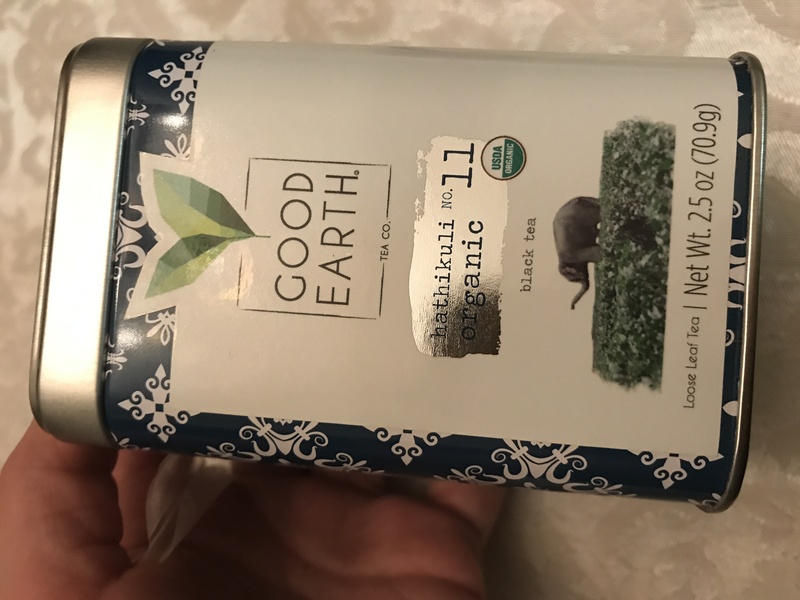 Good Earth’s Hathikuli Organic is one of the most exclusive teas on the planet from Hathikuli Estate — the largest integrated organic farm located in Assam, India. It’s here that tea is how it was meant to be. Hathikuli, named ‘hati’, after the Assamese word for elephant, and ‘kuli’ the word for frequent, means ‘a place frequented by elephants.’ Skilled pickers carefully harvest tea leaves and flushes, depositing them nimbly into bamboo baskets to maintain quality. Prized for its remarkably distinctive flavor profile, this premium loose leaf black tea features sweet, malty notes of dates and honey with a nutty tease. Hathikuli is so smooth, it can be enjoyed on its own or with milk. This inspiring tea is packaged in an exquisitely designed, reusable metal tin that pays homage to the local elephants. « Probiotic Natren for… Your Face! Would YOU Tell the Truth for FREE Honest Tea?